Gnarbucha Owner/Brewer Chris Prevatt began cooking with his father at a young age. This early influence helped him develop a passion for scratch cooking and natural flavors. He has worked professionally as a chef, food marketer, and, most recently, brewer. Chris began brewing kombucha at home as a new and exciting challenge to bring a healthy beverage to his family. 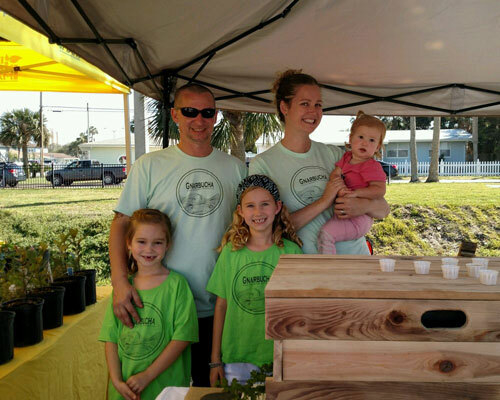 Gnarbucha grew organically, starting at the Neptune Beach Farmer's Market while customizing a manufacturing space in Atlantic Beach. Today, Gnarbucha provides wholesale distribution in addition to selling cups and growlers at the Farmer's Market. Chris spends his spare time with his wife and daughters and enjoys football, scuba diving, and fermenting anything he can find in the kitchen that fits in a jar.